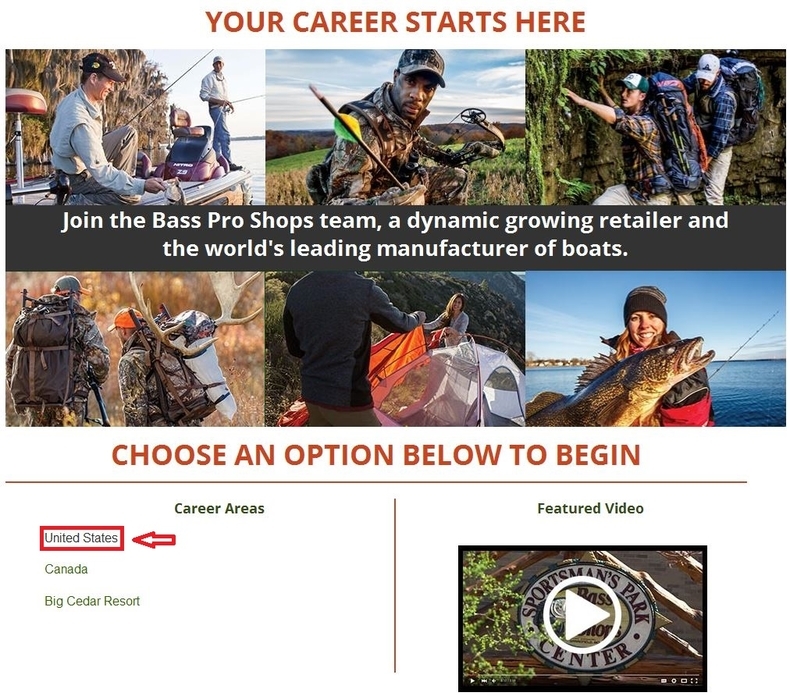 Go to basspro.com/careers and land onto Bass Pro Shops official careers center to know more information about its careers. Bass Pro Shops has three career areas and from which you can choose one to start your job search. Here we choose United State and click to view job opportunities. After the first step, you will be entered into a page where you can see all the job openings in the United States. 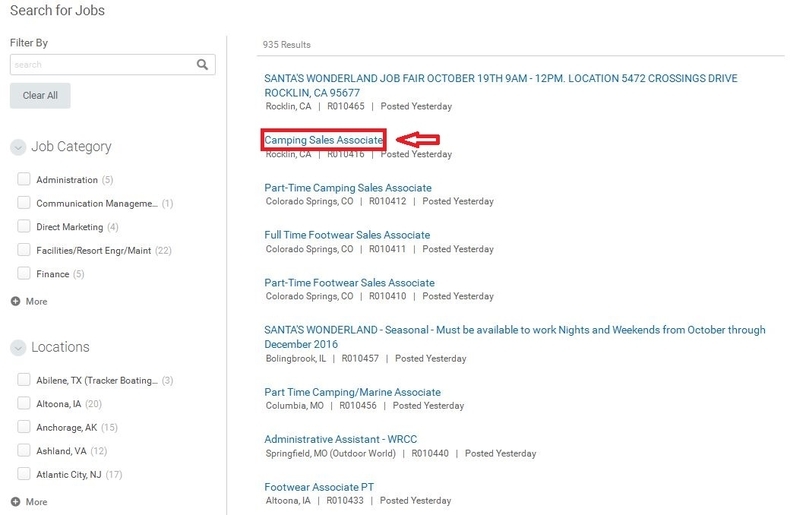 You can filter the job openings list by job category, location or job type, etc. Or you can scroll your mouse and browse the openings list to find the position you are interested in. After you find your preferred position, just click the job title to move on. 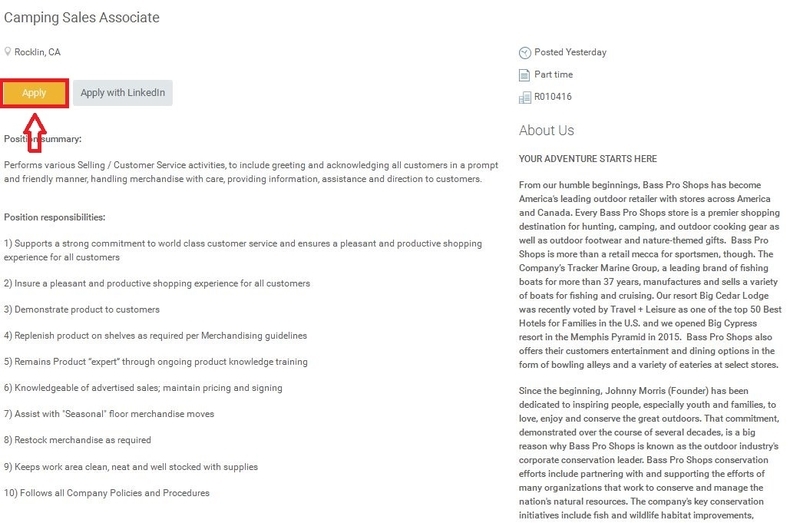 Here we click the second position "Camping Sales Associate" to set an example for you. 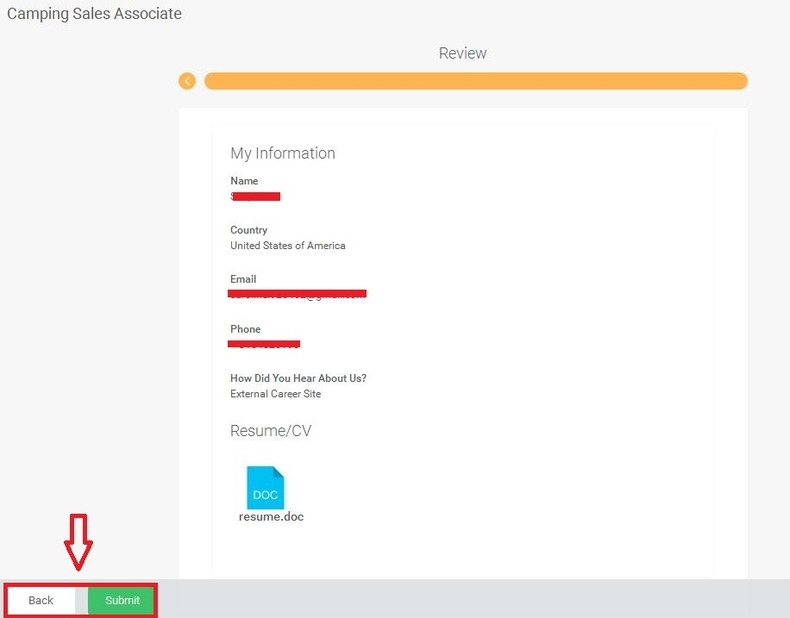 View the details of the position and click the button "Apply" to start your application. Read the job details like summary, responsibilities, required education, experience, skills and abilities carefully and think about if you can match the requirements and whether you are going to apply for the position. 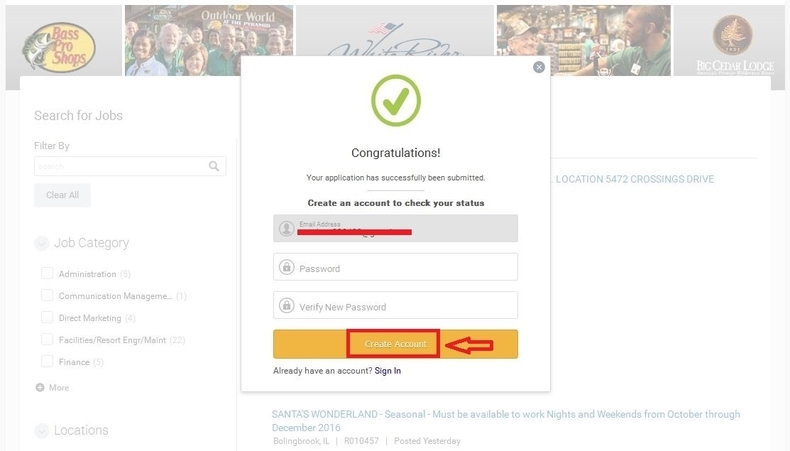 Once decided, just click the Apply button at the top or the bottom of the page to start your application. Fill out your personal information like name, address, email, etc. and click the button Next to continue. Please notice that the fields marked with asterisk are required. 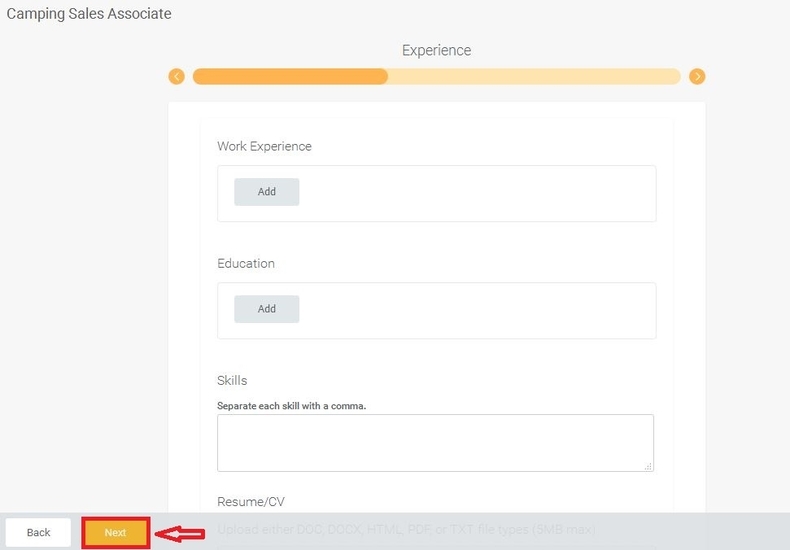 Indicate your experience by providing information regarding your work experience, education, skills as well as uploading your resume and then click the Next button to continue. Follow instructions to answer the given application questions. You need to finish all the required fields marked with asterisk and then click the Next button to read and agree to the terms and conditions. The final step is to review and submit your application. You can review the information you provide and revise or complete the corresponding information by clicking the "Back" button. If you are sure that all the information is okay, just submit your application by clicking the Submit button. After you click the Submit button, you will be led to the page where you can see the "Congratulations!" notification which means your online application has been finished. 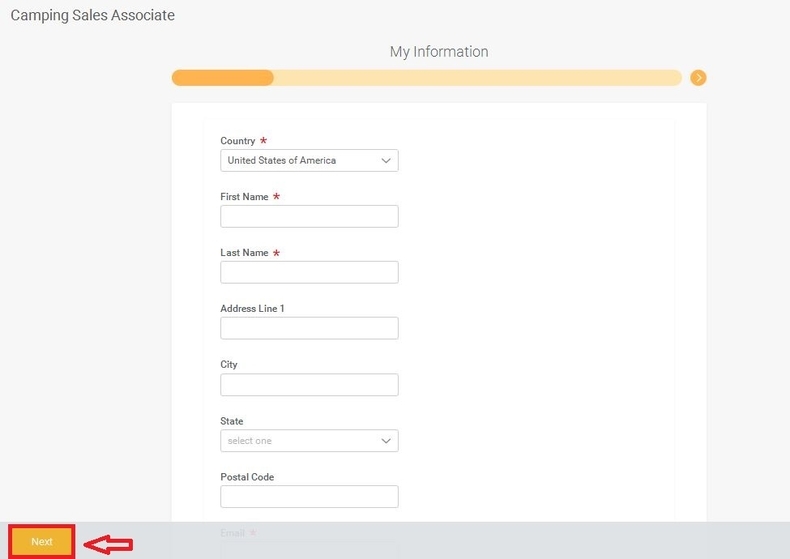 You can create an account to check your application status. 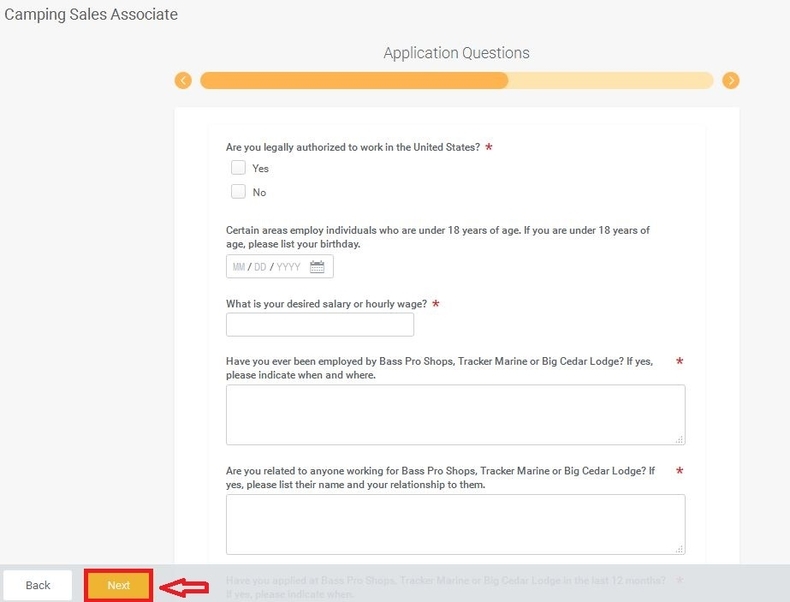 Click basspro.com/careers to apply for Bass Pro Shops jobs online.